Grammy nominated engineer Luca Pretolesi has worked with the likes of Diplo & Major Lazer, Steve Aoki, Above & Beyond, Benny Benassi, and many more world renown electronic artists. 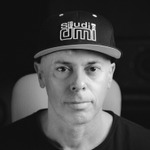 Luca has presented workshops on his mixing and mastering techniques all around the world including Las Vegas, Berlin, Miami, Amsterdam, and Rome just to name a few. In this tutorial Luca goes through the entire mixing and mastering process that he used on DVBBS “Doja”. Discover how Luca sets up a mix, how he develops the creative vision, and then how he uses the vision to make decisions specific to the overall mixing process and to the individual elements of the song: Drums, Bass, Synths, Guitars, FX, Vocals, and the final mastering. This tutorial will give you insights into how a world renowned mixing and mastering engineer thinks about the song, and the process he uses from both a creative and technical perspective, including what he listens for, how he discovers and fixes issues, how he makes decisions to enhance the creative vision, and how he chooses and applies specific processing and effects. You will get an amazing overview of the whole process that Luca has developed from an extraordinary amount of successful high-end professional experience.